Ask any American what they think of when you think of what German food is, and the answer most certainly will be bratwurst and sauerkraut. 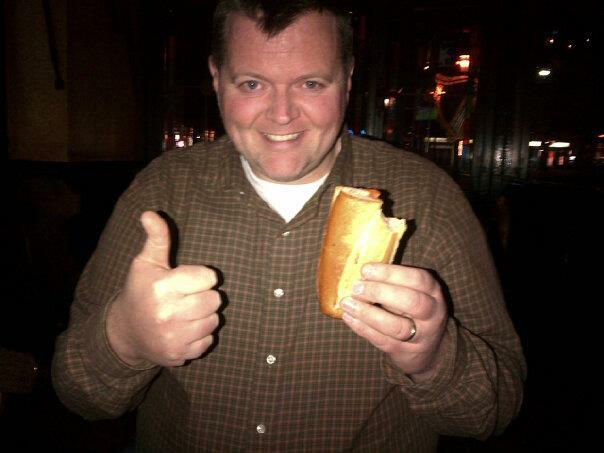 But, the truth is….well….yes, there is bratwurst and sauerkraut here. Germany is about the size of Montana with the combined population of California, Texas, & New York and has 16 states. Different regions of Germany have been controlled by the French, Spanish, Italians, Swedes, Turks, etc. at various points in time throughout the centuries. With this history and diversity, differences in food can be seen throughout the country. In the US, regionally there are different types of foods not found elsewhere. The classic example is grits eaten in the South. The same holds true here in Germany. In the western part of Germany, specifically, the southwestern region, this area is heavily influenced by the French. As such, there is a food eaten here that’s hard to find elsewhere called flammkuchen. This is an absolutely delicious delight!! 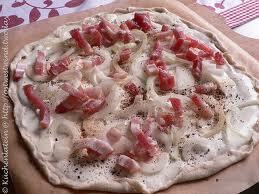 Think of a pizza without the tomato-based sauce, but rather a white cheese with sliced onions, ham, etc. on it. The crust is cracker thin, and served usually as one large rectangular pie meant as one serving. Certain restaurants have special recipes for their flammkuchen (tarte flambree in French) and some only serve it on Saturdays to harken back to their cultural days of when bread was only made once a week. 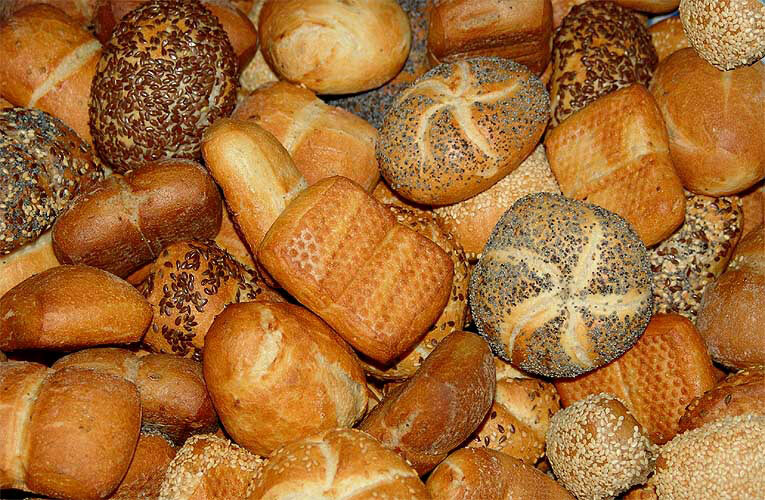 Ask any German in the US, what kind of food they miss the most from Deutschland, and more often than not, bread will be the answer. Seems surprising, but after 2 months in Germany, I can attest, that there is some mighty good bread here, typically a dark-grain bread. 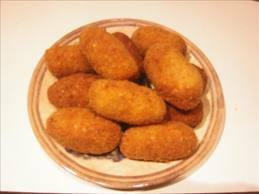 And, if you get this from a bakery fresh in the morning, very delicious!! I will say, that in Germany, the taste of vegetables and fruit seems so much more flavorful than in the US. A tomato here, tastes like the tomatoes from my childhood. Oranges seem so much more juicy. THE REASON: Germany, and most of Europe has banned genetically modified food. 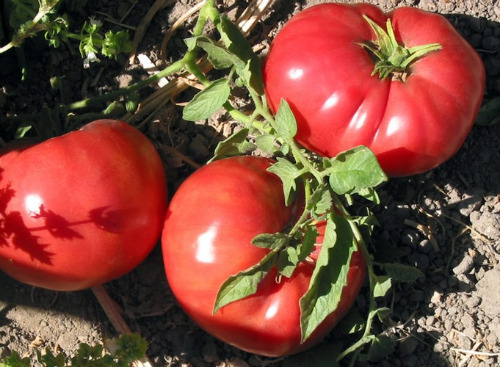 Over the years, for mass production in the US, tomatoes have been modified to be larger, and to ripen much quicker. A downside to this is less taste. 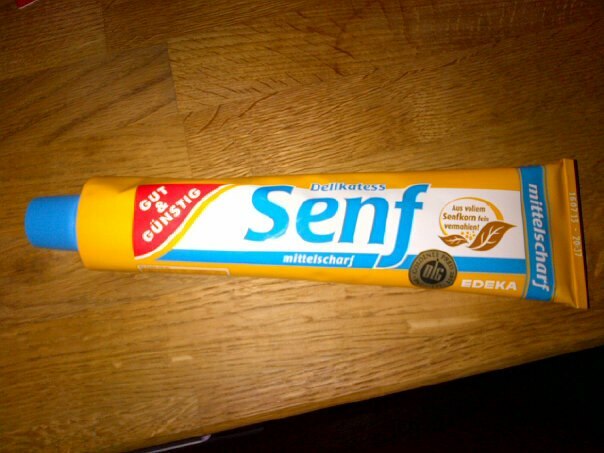 Another item not allowed in Germany (Europe) is high fructose corn syrup as a sweetener in food. Rather, sugar is used. Imagine that…a natural product! And, the sad thing is, you can tell how much ‘sweeter’ high fructose corn syrup is compared to sugar, and not to mention all the bad things linked to it. But, this isn’t the place for political discussions as to why companies use this instead of sugar, but just to simply state there are differences. Example: Coca-cola is sold here with sugar. It tastes like Coke, but just not as sweet. Eggs….yes, eggs are different here in Germany than in the US. 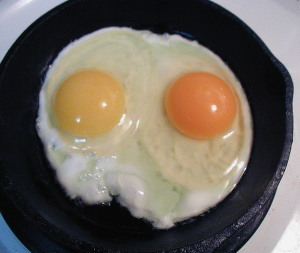 In the US, eggs with yellow yolks are common. Here, Germans feel pale/yellow eggs are unhealthy, and prefer a more golden orange yolk. Now, I did not grow up on a farm, so I cannot confirm this. But, supposedly, chickens who eat a natural diet lay eggs with a more orange-colored yolk than yellow ones from genetically modified eggs for mass-production. Also, being a more natural egg, there are natural bacteria in the egg to protect it from spoilage, which is why most eggs are sold unrefrigerated. As far as taste goes, I haven’t really noticed a difference there, but even the orange yolk eggs look yellow when scrambled (just didn’t want anyone to think scrambled eggs are orange here). Meats, meats, and more meats. Think your local store has a large meat selection….well, even the smallest of stores here has more of a selection of meat than the US. Who knew there were so many sausage types to choose from? As someone who loves meat, I absolutely LOVE this about Germany. Plus, given all the other restrictions, I would imagine that most of the meat is more natural here without any type of injected unnatural products? 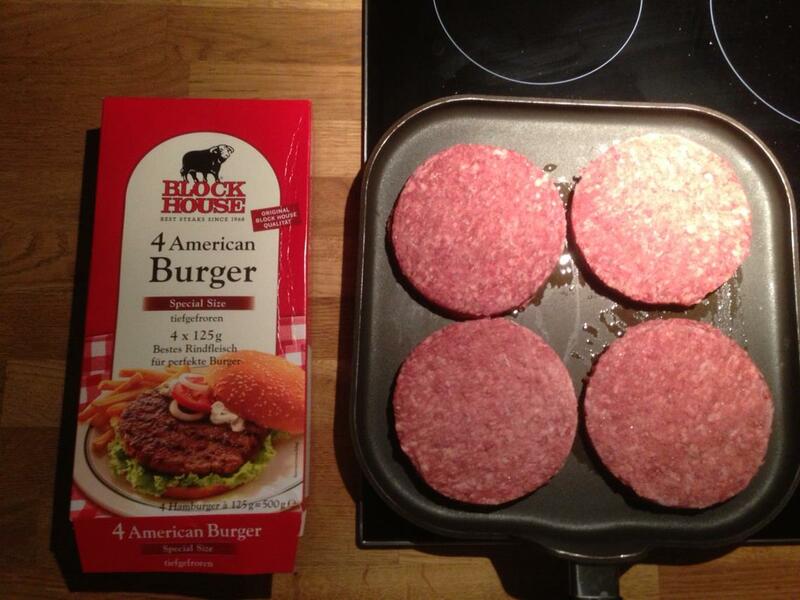 What American food do I miss the most? Tough question as it’s only been 2 months, and am still enjoying the new food discoveries here like croquette, which are fried mashed potatoes. 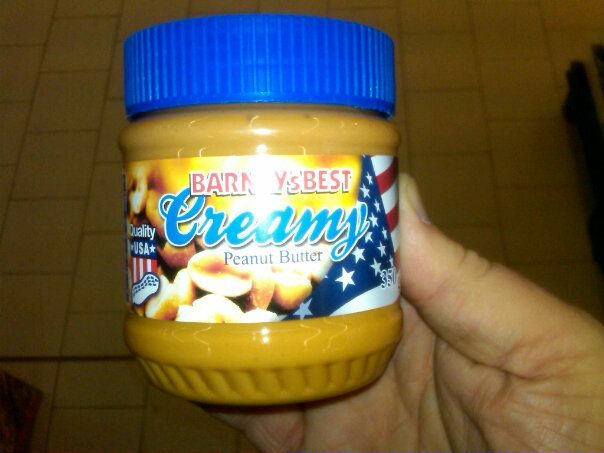 Even my local grocery store has a dedicated ‘USA’ shelf that sells peanut butter (even though it’s three times as expensive than the US). 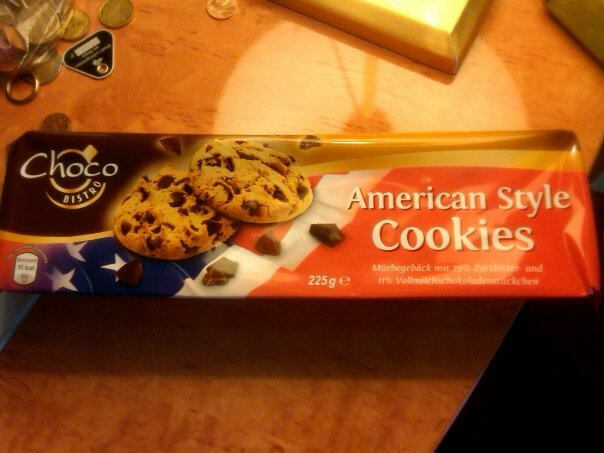 Plus, you can tell any food being sold as “American” because there is usually picture of the American flag on it somewhere. 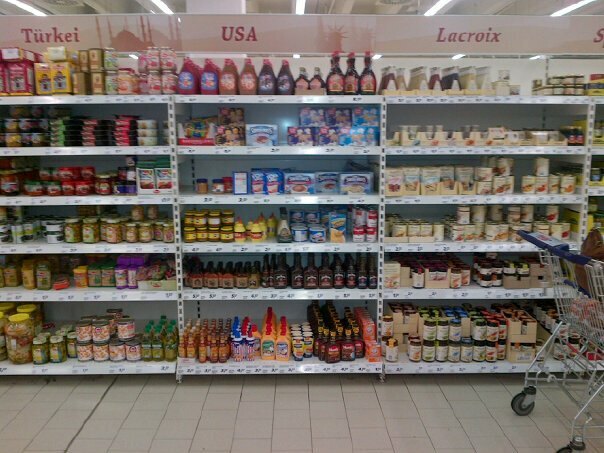 On that note, it’s funny to see what they consider ‘American’ food: marshmallows, maple syrup, peanut butter, hellman’s mayonnaise, bar-b-que sauce, cheez whiz, kraft mac -n- cheese….instead of funny, maybe it’s sad really? You can find hot dogs (I mean, they are really called frankfurters aren’t they) and hamburgers here, but the difference is twice the amount of bread than the US. And, the taste is just a little different, not quite the same. One last closing comment, if anyone wanted to do the Atkins Diet without the temptation of carbohydrates, come to Germany for a few months. There are so many protein meats here, and it’s definitely more than just a land of bratwurst and sauerkraut.